Today Zotac announced two new mini-PCs, further expanding their mid-range Zbox M and ultra-compact Zbox P series. The Zbox MI553 comes in a standard and a Plus variant, has a mobile Intel i5-7300HQ processor, and an eGPU compatible Thunderbolt 3 port. 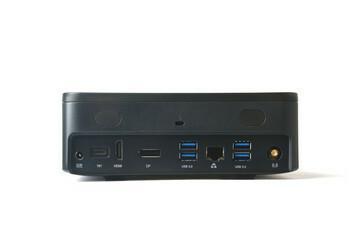 The Zbox PI225 claims the title of the smallest mini-PC, contains a Celeron N3350 CPU, and has smartphone-like dimensions. There is something inherently cool about miniature computing, and this is an area which Zotac have been particularly active in over the last few years. 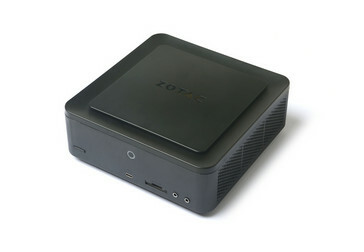 Zotac’s Zbox series of mini-PCs range from low powered computer-stick devices with Intel Atom processors, all the way up to an Intel i7-7700 with XMX GTX 1080 Graphics card. 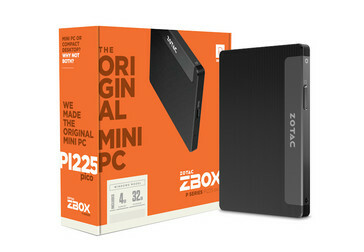 Today Zotac has released two new models in their mid-range M-series and ultra-compact P-series. The MI553 is the larger model, available in both a 'standard' and 'plus' variant, and it is equipped with a notebook class i5-7300HQ. Both have the same physical dimensions at 185 x 185 x 72 mm (7.3 x 7.3 x 2.8 inches), but the standard model is a barebones system, while the Plus comes with a 120 GB m.2 SSD and 4 GB DDR4 RAM. Key features include Thunderbolt 3, two storage expansion slots (m.2 and 2.5-inch), USB-C, 1000 Mbps LAN, and 802.11ac. The MI553 supports 4K output via HDMI 2.0 and DisplayPort 1.2, so with a large 2.5-inch hard drive installed it would do nicely as a media center PC. The Thunderbolt 3 port does support eGPU enclosures, although using an external graphics card with a compact desktop is an unusual use case. The PI225 claims the honor of being the world’s smallest mini-PC since its form-factor excludes it from being considered a compute stick. There is a Celeron N3350 ‘Apollo Lake’ at its heart, 4 GB DDR3 RAM, and 32 GB eMMC storage with Windows 10 Home pre-installed. Cooling is handled passively, and all physical connectivity is provided by 2 x USB-C which handle regular USB tasks in addition to the video output. The PI225 could be mistaken for a smartphone at a glance, measuring 95 x 63 x 8 mm (3.8 x 2.5 x 0.3 inches). 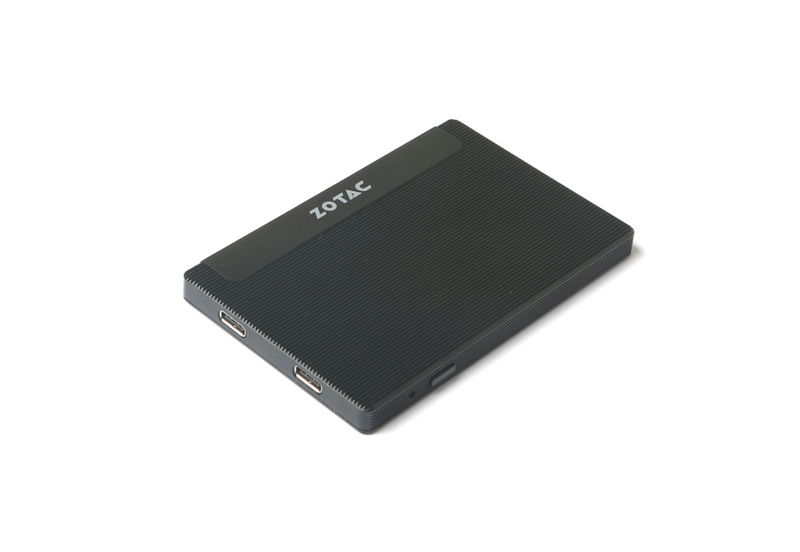 HONG KONG – September 7, 2017 - ZOTAC International, a Hong Kong based and a global manufacturer of innovation, today announced two groundbreaking releases from the acclaimed ZBOX M series and P series Mini PCs. More customized to contemporary users’ needs, yet equipped with future fast technologies. 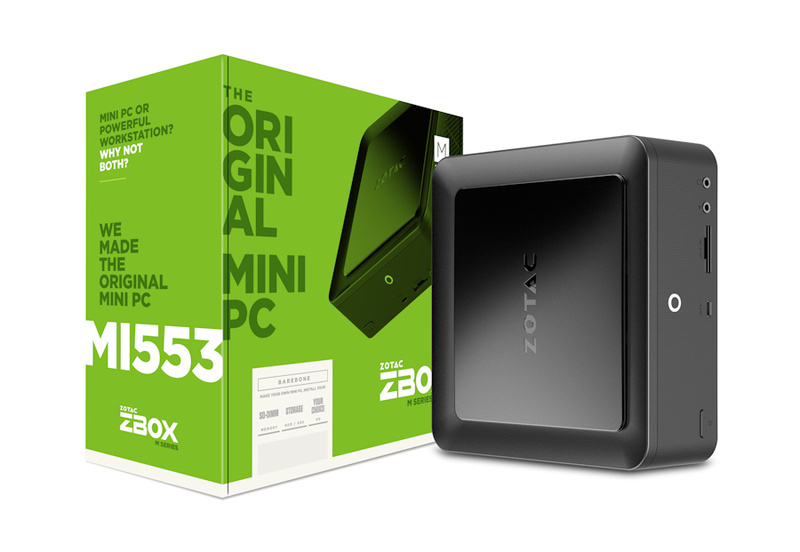 The ZBOX MI553 has a refreshing all-new minimal and elegant design with future fast technologies permeating all of the Mini PC, while the ZBOX PI225 tops world rankings in being the smallest and thinnest Mini PC ever. “Both ZBOX MI553 and PI225 inherit the defining features of their predecessors, and perhaps employ the most ambitious designs and features yet in a Mini PC. We want to make sure users can enjoy a simple and fast computing experience,” said Chinny Chuang, ZOTAC Global Director of Marketing. Future Fast - The all-new ZBOX MI553 introduces the largest surface-area of ventilation ever that with future fast technologies that brings speeding performance to the forefront. It features a 7th Gen Intel® Core™ processor based on the Kaby Lake architecture, a revolutionary Optane™ Memory technology, Thunderbolt™ 3, USB 3.1 Gen2, and the fast lanes to support a NVMe M.2 SSD. Professionally dressed for the office and casually comfortable for the home, the all new ZBOX MI553 is the multi-functional do it all Mini PC. 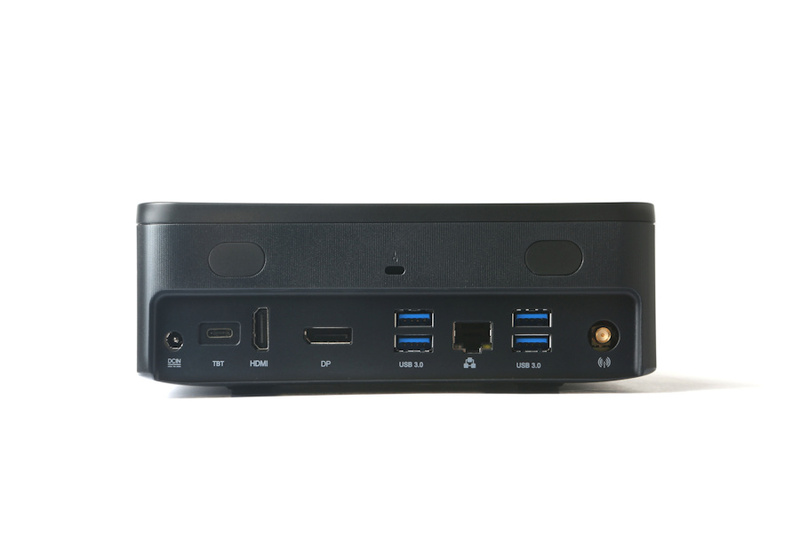 Mini More Possibilities - The world’s smallest and thinnest Mini PC, the ZBOX PI225 is powered by an Intel® Apollo Lake dual-core processor combined with a ribbed metal exterior to provide a symphony of silent performance in a world ranking pico size. ZBOX PI225 capitalizes on a completely fan-less design with fast 802.11ac wireless and Bluetooth 4.2 connectivity, two USB 3.0 Type-C ports and Windows 10 pre-installed to create many more possibilities.